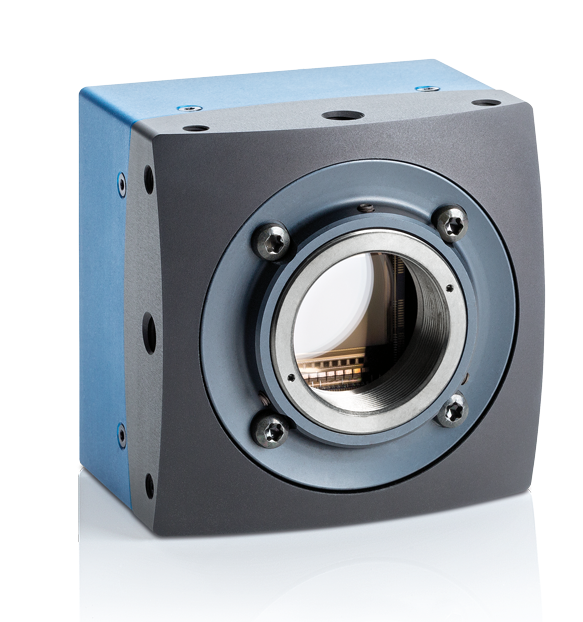 MIKROTRON high-speed cameras with Gigabit Ethernet interface can be used for the most diverse applications. 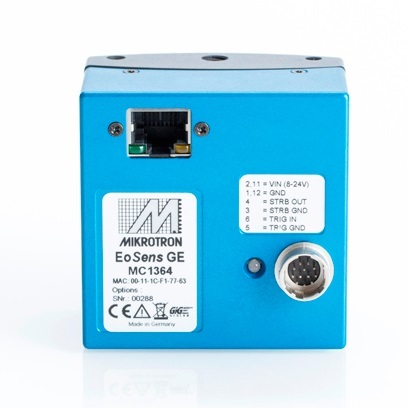 The technical flexibility of the interface allows for the transfer of data with rates of up to 110 MB/s and maximum cable lengths of 100 m. Using Gigabit Ethernet and GigE Vision standards MIKROTRON high-speed cameras can be integrated into already existing system without any complication. Even complex installations with several cameras are easy to be realized. High-speed cameras with Gigabit Ethernet interface are capable of capturing up to 80 frames per second, which can be transferred to a PC via standard GigE cable. Without additional hardware (frame grabber) or extensive installation the camera is ready to use (Plug and Play). Even under difficult lighting conditions fast motion processes can be reliably analyzed and optimized with the EoSens®. The EoSens ® GE transfers up to 80 frames/second at maximum resolution of 1,280 (H) x 1,024 (V) pixels. By freely choosing of the Region of Interest (ROI), frame rate can be increased up to 80,000 frames per second. Multiple ROI for Choosing Several Objects The EoSens ® allows the user simultaneously choose up to three individual RoIs within the complete frame range. Thus, multiple objects can be captured independently at the same time. The EoSens ® GE is the high-speed camera made for Gigabit Ethernet. Without costly hardware, the camera is ready-touse with any current Gigabit Ethernet PC or notebook. The camera’s GigE Vision standard enables easy connection and parametrization of camera, hardware and software. No need to worry about the light – the EoSens ® is the first high-speed camera with a photo-sensitivity of 2,500 ISO/ASA. Thus it opens up completely new potential for high-speed inspection/monitoring. Even in low-light conditions, the EoSens ® provides high-speed images without complex lighting equipment. Dynamic Range Adjustment of Extreme Contrasts Through two selectable steps, the camera’s Dynamic Range Adjustment option allows to approach the CMOS sensor’s linear range into a non-linear dynamic range. Consequently, the EoSens® provides definite image details even in cases of extreme dark-light contrasts, which means an invaluable benefit exceptionally in image processing. If desired, pixel exposure can be accumulated up to seven times, resulting in alternative image exposures. The optimally exposed image can be selected for further processing. In indefinite lighting conditions, as in 24-hour outdoor applications, the EoSens ® becomes the high-speed camera that spots everything.